Flour photos look really great, but the flour can seriously mess with your camera, so you have to be careful. For this reason it was a really long time since I last did a flour or talcum powder shoot. You have to clean your camera with a vacuum cleaner and tape afterwards. 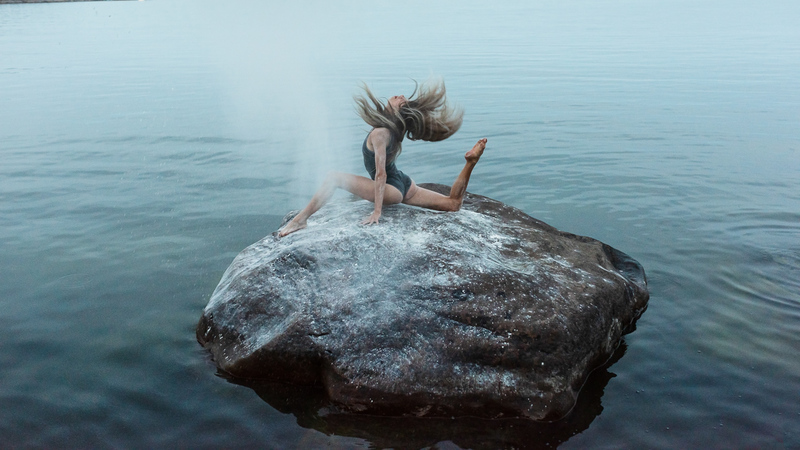 This past weekend Sara Larsson, Emma Kihlander and Wilma Ring teamed up with me for a dance photoshoot at Knappelskärsgrottan, which is one of my favourite photo locations. With us we brought flour, a lot of flour. Our motto was, better too much than too little. Turns out five to six kilos of flour was about right. Sara Larsson at the mouth of Knappelskärsgrottan. There is a puddle right by the entrance which offers opportunities for beautiful reflections. Wilma Ring. I had brought my 35mm lens with me, but even that was not really wide enough to properly capture the grandur of the cave. Emma Kihlander. Since all the light comes from the cave entrance you can get really beautiful well defined shadows. Emma Kihlander. Climbing on the cliff wall. Sara Larsson. Time to bring out the flour. Sara Larsson covered in a cloud of flour. Prepping for the next photo. Wilma Ring. Lots of flour-ishing movements. Wilma Ring. We redecorated the landscape with all the flour, turning the cliffs temporarily white. Emma and Wilma in action. Sara Larsson. I really liked the textures of this photo, and the black and white brings it out even better. Wilma lending Sara a helping hand. Getting to and from the cave is a bit tricky. So we decided to climb out while there still was a bit of daylight, which was an adventure in itself. From there we went to a nearby beach, to catch the last few rays of sunlight. Wilma Ring. 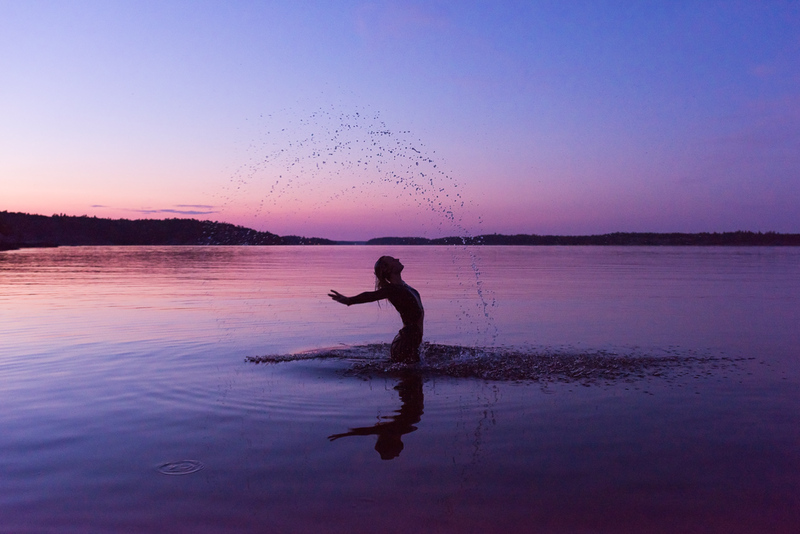 This was one of the first shots we took, and ended up being one of my favourites among the water hair flick photos. Wilma Ring. Here we brought out one flash. Emma Kihlander. Time to add the second flash. Sara Larsson. Last photo for the day, it was getting quite dark so we decided it was time to head home. We arrived back in Stockholm a bit after one o’clock in the morning. Behind the scenes video that Sara, Wilma and Emma filmed on their phones during the photoshoot. 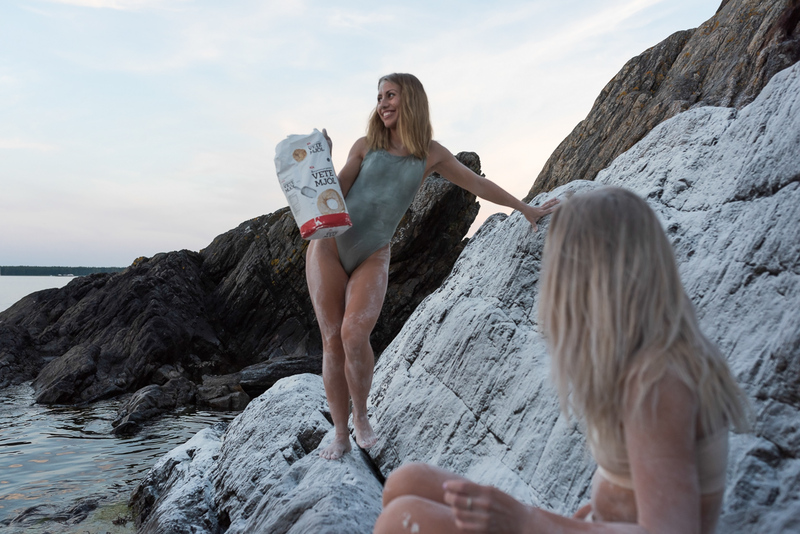 This was such a fun photoshoot, so glad we decided to bring flour with us. A big thank you to Sara, Emma and Wilma!